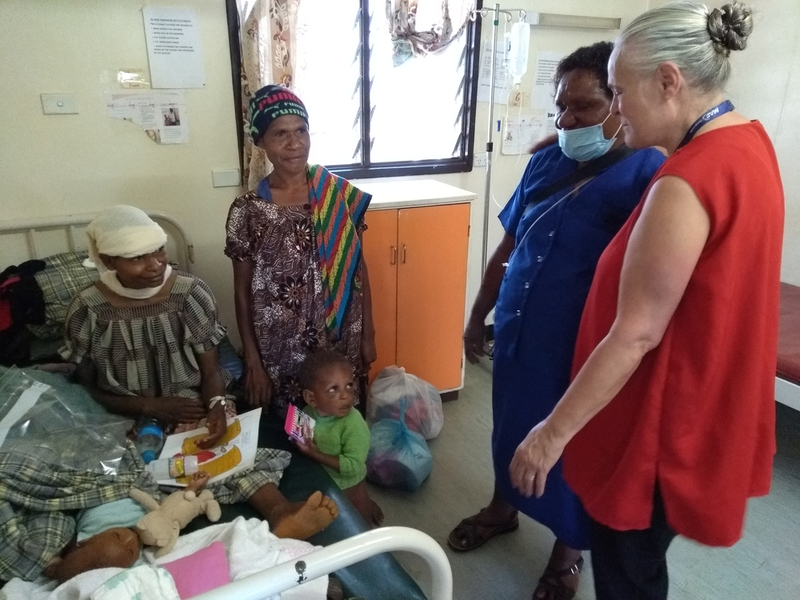 On February 26, a 7.5 magnitude earthquake struck Papua New Guinea, followed by a 6.2 and 6.0 magnitude the next day, bringing devastation and fear to many remote communities in the Mt. Bosavi region as well as making inoperable the limited mobile service that existed. 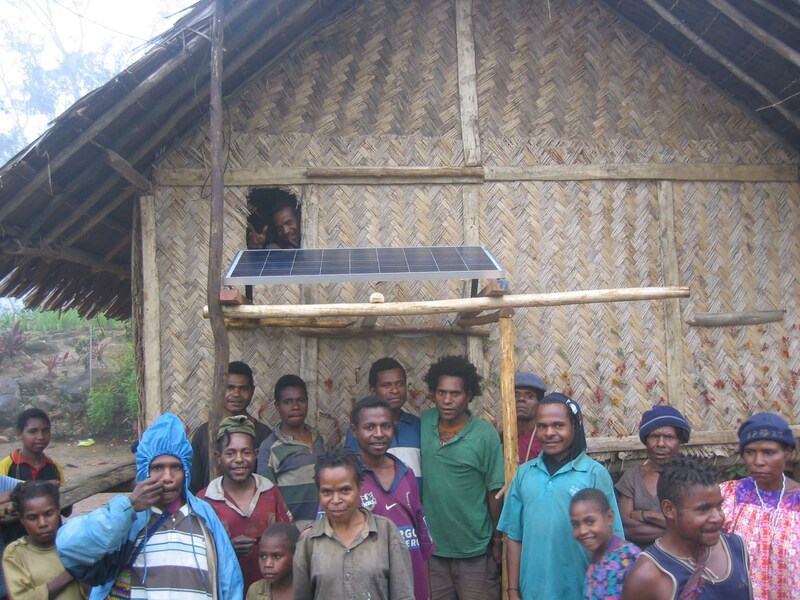 CRMF was already there with its HF radio network to connect these isolated communities to the help they desperately needed. 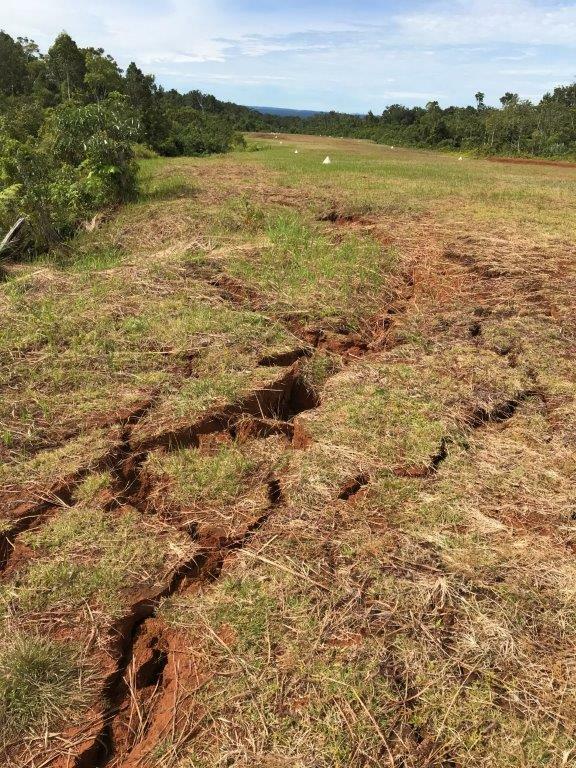 Because our HF radios were strategically located at airstrips in the affected regions, we could quickly find out which airstrips were operational, and which were damaged. The airstrips soon became crowded as people started congregating there. 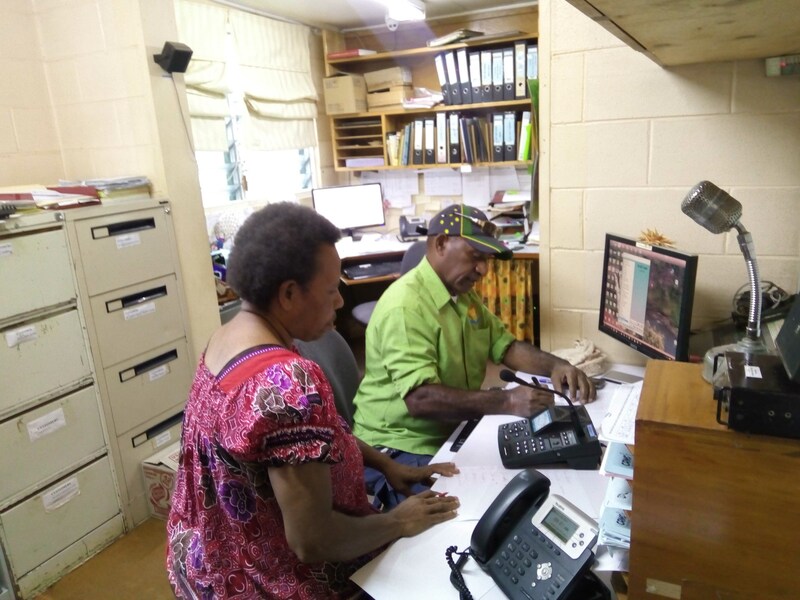 “The next day, although we were okay, we heard that much communication was down in the affected location and so HF radio became a vital link to assess the needs of many remote communities in this area, some who have only ever had HF radio.” – General Manager of CRMF, Michael Wakefield. 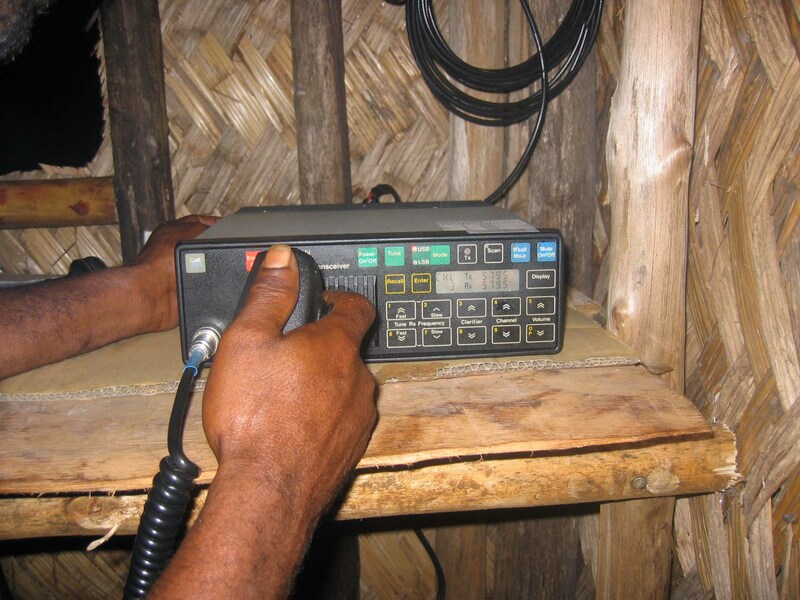 CRMF maintains an HF radio network that covers most of Papua New Guinea. 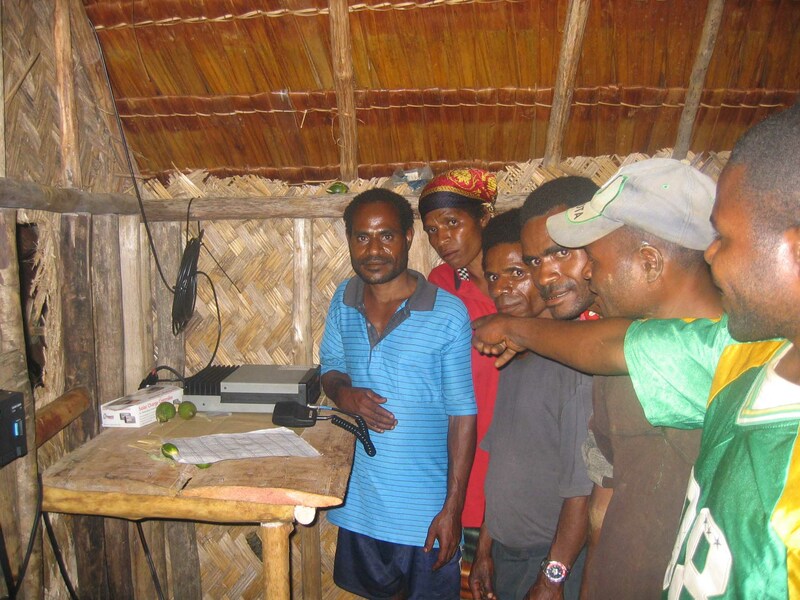 Remote churches and mission stations in the jungles, health clinics, schools, and especially those responsible for looking after airstrips all use our radios to communicate. CRMF monitors an emergency radio channel seven day a week, 24 hours a day. When the earthquake occurred this channel became very busy. The airwaves were filled with requests for emergency medical flights to carry the injured to hospitals as well as with requests for food, shelter, and clean water. 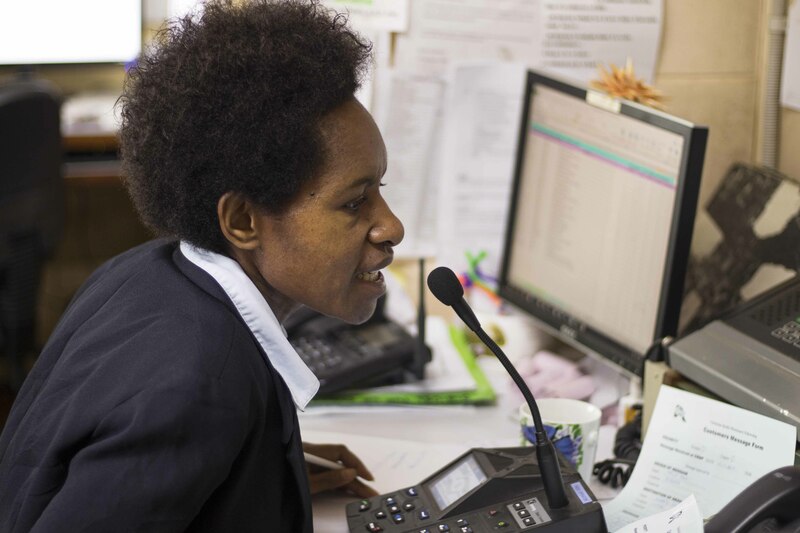 With the guidance of MAF who was leading the initial disaster relief efforts, CRMF logged all radio calls and, at the end of each day, sent a summary report to eventually around 30 different e-mail addresses representing many governments, NGOs, and mission agencies. Mendi (a town in the Southern Highlands) suffered great loss with 600-700 houses, two aid posts, a primary school, and an elementary school covered from landslips. Reports also came in over the radio of a hundred-livestock dead, gardens covered or ruined beyond repair, and water sources turned red. Southern, Western, and Hela provinces were most affected by the earthquake. -Gipson Wembip Kaket, from Mendi, asks us over the radio. We received many similar calls. March 7th, 8:45am, Huya calls A899 (CRMF) on the radio and reported that the earthquake had caused landslides that covered 14 people. Twelve people were confirmed dead. They requested three patients to be medevaced. 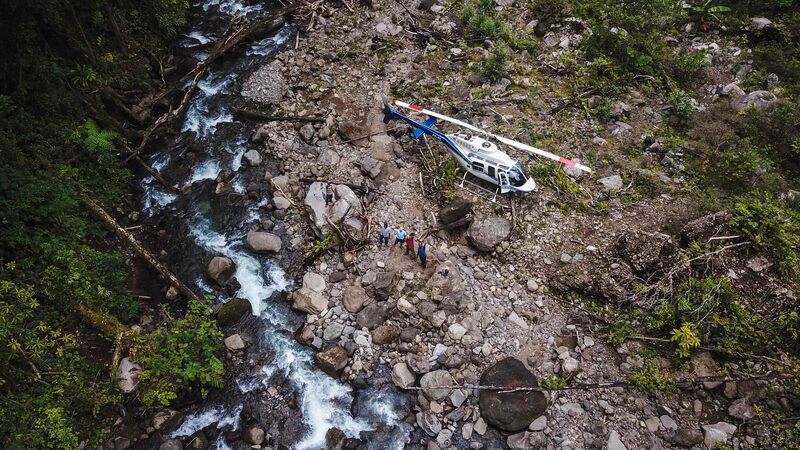 The 1st was badly injured in the landslide; the other 2 patients were a mother and child. While trying to run away because of the earthquake, a branch fell on the mother’s head, broke both her arms and she passed out. The little child was also crushed by the branch and suffered serious damage to his eye. They were in critical condition. CRMF contacted MAF Kiunga and they arranged a flight. During this time, CRMF assisted these communities in many ways such as connecting health workers in the region to doctors who could answer their questions and provide expert advice. CRMF also connected pastors and other church workers to their national leadership so they could request assistance with rebuilding churches and providing relief to communities. Some of the remote communities began reporting unusual damages to their gardens by pests and other garden issues. We passed on this information to the relevant government and NGO experts and requested that they respond to the communities and provide aid. This work is still ongoing. Another interesting story that illustrates the importance of CRMF and the unique things we get involved in was when a rumor began circulating that an extinct volcano in the earthquake-affected region was becoming active again and that people would need to flee from the refugee centers and go into the jungle. When this rumor first became known, CRMF contacted the geology experts at the leading PNG universities who let us know that this was just a rumor. CRMF then broadcast warnings that this was just a rumor and that if people left the refugee centers they would be unable to get food supplies. We also conducted a PR campaign sharing the same information with various radio, print, and TV reporters. The rumor seemed to stop for a month but then came back stronger than ever. Eyewitness accounts of smoke and fire at the top of the volcano started spreading by phone and then by social media till even the government was making evacuation plans for the people around the volcano. 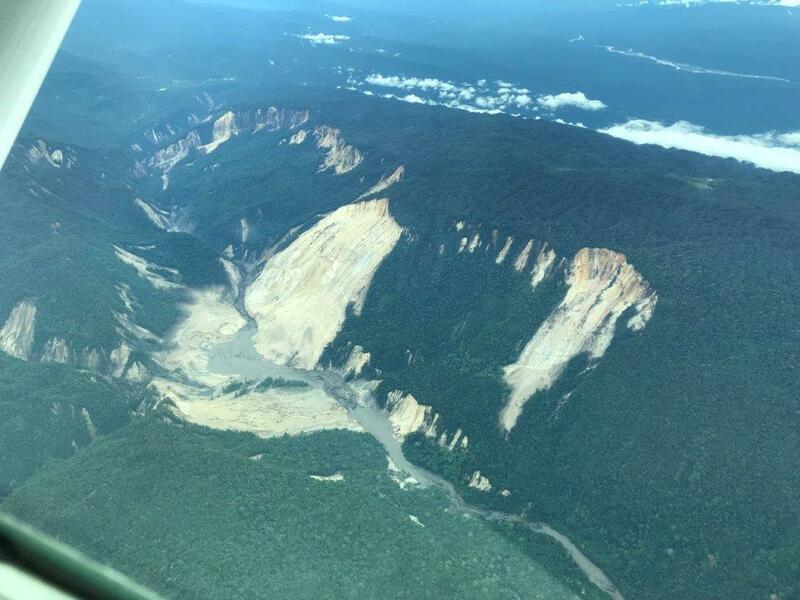 CRMF quickly called the leading volcanic experts in PNG, the Rabual Volcanic Observatory, who made it quite clear that the volcano was extinct, it could not be erupting. CRMF put out a plea to any in the mission community who could provide some eyewitness testimony that the mountain was not erupting. One missionary, Anton Lutz, along with an SIL helicopter pilot, took a couple of local village elders and flew to the volcanic mountain and landed in the crater. They took video recordings from handheld cameras and flew a drone with a camera all around the area. This video recording, along with the scientist’s testimony finally killed the rumor. MAF and other pilots carried the video recordings on tablets to remote villages showing the video when they landed, and the video was also on the national television news. We often pray on the radio with those we are talking with. When we heard from many communities about their garden pests we assured them that we were doing everything we could to get them help and then we prayed for them over our radio channel. The HF radio also provides a community aspect to communications. As everyone in the radio world can hear what is said. Everyone is hearing their stories and sharing the pain together. This gives people strength and encouragement. As of May 9th, CRMF is still receiving requests for assistance from the affected communities due to the earthquake and passing those on. Please continue to lift up in prayer those affected by the earthquake.